Hyperplasia refers to any kind of cell growth that is much more rapid than normal. In the context of breast cancer diagnosis and staging it usually refers to the unusually rapid growth of the epithelial cells within the lining of the breast ducts, as opposed to the lobules. The unusually rapid growth of lobular cells is referred to as atypical lobular hyperplasia. Furthermore, atypical hyperplasia may be ‘upgraded‘ to DCIS or ductal carcinoma in-situ, if certain features of the atypical hyperplasia are found to be more serious and suspicious for cancer development. Just letting you know that we have created a new page with more up-to-date information on atypical ductal hyperplasia. Those darker purple circles in the picture are breast ducts, abnormally plugged by by too many cells? Yes, and those purple cells are weirdly too big, making them ‘atypical’, at least to the trained eye of a pathologist. A definition in common use for Atypical Ductal Hyperplasia (ADH) is for a ‘a proliferative breast lesion’ that has a few, but not all, of the criteria that otherwise would comprise a diagnosis of a low-grade, non-comedo ductal carcinoma in situ. One criterion for diagnosis of DCIS would be the involvement of at least two ducts. But even if this is the case, if the subsequent histological work-up does not indicate sufficient malignancy indicators, the lesion will still be described as ADH. Also, a lesion with all the features of DCIS but measuring less than 2mm will also be classified as ADH. Atypical ‘cytologic’ (cell study) appearance is the most important feature when separating ADH from DH. ‘Anisocytosis’ refers to a curious variation in cellular size and shape. Most often medics use this term in the the context of describing red blood cells, but it is in use here to describe breast tissue. ‘Anisokaryosis’ is a bit more detailed and refers to an unusual variation of the density or size of cell nuclei, specifically the nuclear chromatin. Chromatin is a complex of DNA and protein, whose function is to regulate the size of a cell. However, even with these unusual variations in hyperplasia, if cells are dividing in a predictable way, they are not cancer cells. Atypical ductal hyperplasia develops as a uniform population of round, polygonal or cuboidal hyperchromatic cells, of a small to medium size. Cells tend to be arranged in a regular pattern. Nucleoli are always single and small. Cells mitosis are very infrequent. Cell nuclei tend to be evenly distributed and often form a rosette-like patterning. Even though any sort of unexpected cellular proliferation can be considered as a probable risk factor for breast cancer. Atypical ductal hyperplasia can not be considered as a ‘obligate‘ precursor to invasive ductal breast cancer. Some studies suggest that when atypical ductal hyperplasia is present in more than 2 foci in a core-needle biopsy specimen, there is a greater possibility of ductal carcinoma in situ. Furthermore, specialists believe that the micropapillary pattern of atypical ductal hyperplasia is also a more likely precursor for DCIS. There remains no clear, undisputed evidence that either hyperplasia without atypia and atypical ductal hyperplasia are precursors to either DCIS or invasive carcinoma. Is atypical ductal hyperplasia a form of breast cancer? No. It is a marker for women who may have a risk factor for developing breast cancer in the future. What does atypical ductal hyperplasia look like? When ADH forms, the breast cells become abnormal in number, size, shape, growth pattern and appearance. What is atypical ductal hyperplasia treatment? Biopsy is usually necessary for atypical hyperplasia to remove the abnormal cells. Follow-up tests may include self-exams, clinical exams, screening mammograms or MRI (depending on other risk factors). What are some ways to reduce risk of breast cancer? Take preventive medications, avoid menopausal hormone therapy, participate in a clinical trial or consider risk-reducing mastectomy. What causes atypical ductal hyperplasia? It is not clear what actually causes atypical ductal hyperplasia. What are the atypical ductal hyperplasia symptoms? ADH usually doesn’t have any specific symptoms. Although it may cause changes to appear on a mammogram. Are there ways to prevent atypical ductal hyperplasia? Get regular breast cancer screening and go to all of your follow-up appointments. Maintain your general health like taking regular exercise, eating a healthy diet, getting enough sleep and limiting the amount of alcohol consumption. You can’t control whether or not you get breast cancer, but you can keep healthy so that you’re well enough for breast cancer treatment. Sometimes doctors may recommend anti estrogen medications, such as Tamoxifen for a diagnosis of ADH to help prevent cancer in the future. How common is atypical ductal hyperplasia? Atypical Ductal Hyperplasia is the most common form of atypical hyperplasia, and occurs in around 65% – 75% of women. Is atypical ductal hyperplasia ‘early-stage breast cancer’? No, ADH is just a more rapid cell growth pattern. However, specialists do consider Ductal carcinoma in-situ and lobular carcinoma in situ to be ‘early-stage breast cancer’. What is atypical ductal hyperplasia diagnosis? When there is a suspicious area on mammogram, doctors will request a biopsy to evaluate the tissue, and this is usually when atypical hyperplasia is discovered. The surgeon removes tissue samples at biopsy and sends them for analysis by a pathologist. Sometimes the surgeon will use a MRI-guided biopsy may. Next, the pathologist examines the tissue samples under a microscope and the pathologist may identify atypical ductal hyperplasia. If further evaluation of the ADH is necessary, your doctor may recommend surgery to remove a larger sample to look for signs of breast cancer, or tumor cells. This may lead to an excisional biopsy (wide local excision or lumpectomy) to remove the affected tissue. What is the difference between usual ductal hyperplasia and atypical ductal hyperplasia? In usual ductal hyperplasia the proliferative cells are very close to a normal pattern whereas in ADH the cells are more abnormal, often with distortions. As previously mentioned ADH is often discovered on mammogram and does not usually have any symptoms. You may have discovered breast lesions or been diagnosed with a breast lump such as phyllodes tumor and ADH was an incidental finding on investigation. Van de Vijver MJ, Peterse H. (2003) The diagnosis and management of pre-invasive breast disease: Pathological diagnosis – problems with existing classifications. Breast Cancer Res. 2003; 5(5): 269. 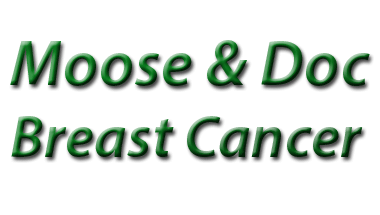 Back to our miscellaneous breast lesions list or Updated Breast cancer Incidence and Mortality list of posts or our newer breast cancer site.